On Google Maps search for "The Way Hostel & Bar " to find the area. The bus will take you to here. 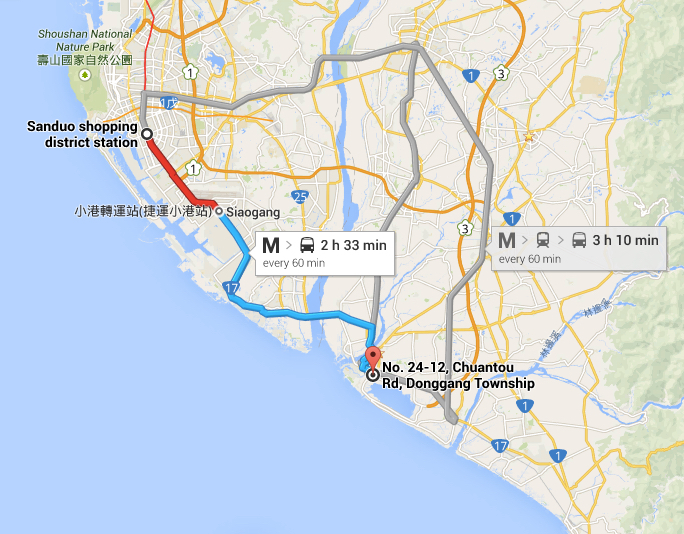 From the main intersection at the stoplight, walk on Yanhai Rd, towards the ocean. 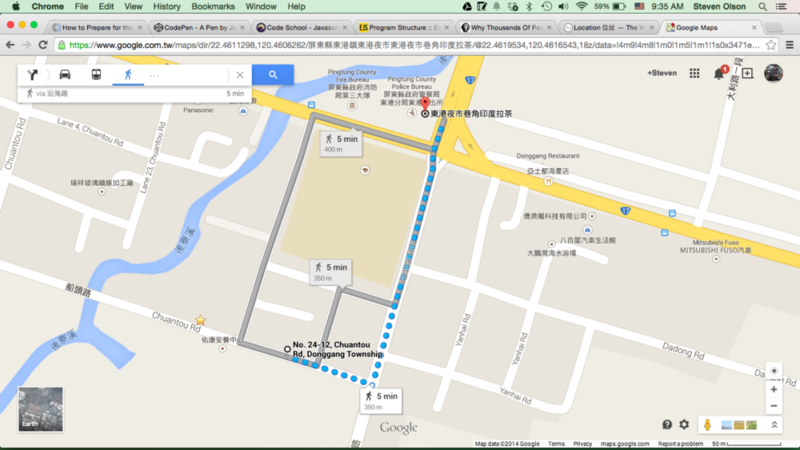 Go two blocks, passing the school, and turn right on Chuantuo Rd. The hostel will be on the right after about 100 meters. Look for the round, white sign. Or You can choose Share Taxi, it charge 130 per person, they will pick you from Kaohsiung or any Kaohsiung metro station and drive you to The Way Hostel, Please e-mail us about more detail or call 0977-786622 ask them. 搭火車南下： 請搭到高雄火車站 轉巴士(136元) 到 "東港警察局站" 下車，下車後，直行到對面路口（以栗國小旁）直走兩個紅綠燈，右轉即可看到The Way.